Improve colour, shape and position. 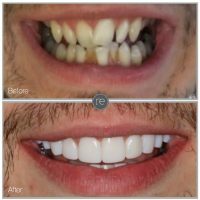 A Veneer is a very thin layer made from porcelain which is applied to the surface of the tooth. They are used to improve and correct a number of concerns, including discolouration, uneven chipped and crooked teeth. A precise shade is selected to suit each individual patient so they can achieve the most natural result possible.